There isn't a teacher shortage. Not really. But there is a shortage of districts and states that are successfully attracting people to teach careers. If I can't get a dealer to sell me a Lexus for $1.98, that does not mean there is an automobile shortage. The "teacher shortage" is really a shortage of $1.98 teachers. Something is wrong. Not only do we have a drastic drop in the number of proto-teachers in the pipeline, but the profile of the teacher pool is off. The teacher pool is overwhelmingly female and white. Males and minorities are not represented in the teaching force in numbers that remotely resemble the demographics of our student population. So how do we get and keep the teachers that we need? After all, it ought to be easy. No other profession gets to pitch itself to every single young person who could possibly pursue it. So what are we missing? To understand how to recruit teachers, we just have to remember how the teachers we have found their way to the classroom. And the most important thing to remember is how they start. 1) I kind of like it here in school. 2) I can see myself doing that teaching thing. That's it. If we get a student to harbor those two thoughts in his teenaged cranium, we have successfully created the seed from which a future teacher could grow. But looking at those two thoughts can also tell us where our edugardening has gone awry. Kind of like it here. No excuses. Speak when you're spoken to. School to prison pipeline. Assumption that black and brown students are a problem. Crumbling buildings. Lack of even basic supplies like books and paper. Curriculum that is centered on test prep. None of these are going to make a student feel as if school is just like a second home. And schools that carry the greatest weight of discrimination and mistreatment are the greatest anti-recruitment. If you have made a student feel unwanted, unwelcome and unsupported in school at age fifteen, why would that same student consider returning to school at age twenty-two? The most fundamental part of this is the modeling of staff. It's hard (not impossible, but damn hard) to imagine myself doing a job if I can't see anybody like myself doing the job. Beyond that, students will be influenced by what they think the job is, the job that they see teachers doing. Are male teachers of color responsible for breaking up all the fights in the building? Do coaches get to follow a different set of rules than other staff? Do lady teachers have to keep their heads down and never talk back to a male boss? Do some teachers spend half their time doing drill and drill and worksheet band dull, boring drill? Any such unwritten rules are noted by students, and factor into how appealing the job might be. Do students see that teachers struggle financially, holding down extra jobs to make ends meet? Do students see their teachers treated with respect? Do students see teachers supported with resources and materials, or do they have to buy supplies out of their own pockets? Do they see the job turned into a low pay, low autonomy, de-professionalized drudge? These factors also affect whether students can see themselves living the teaching life. Of course, there's more care required for these early seeds reach full flower. College teacher programs may support the fledgling teacher or throw more obstacles in the path (I often wonder how many male teachers of color we lose to repeated "Well, what the hell are you doing here?") Then we get to the luck of the draw with the match-up for student teaching, and finally, the problem of individual district hiring practices. And then we arrive back in the classroom, where the person who was once a student may have to withstand one more assault on their desire to teach. And we don't have time to get into all of that yet again. Retention is a huge problem, easily as big as recruitment, but here's the irony-- the recruitment problem and the retention problem are the same problem, because the best way to recruit the teachers of tomorrow is by giving support and respect to the teachers of today. You cannot dump all over today's teachers and expect students to say, "Oh, yeah, I'd love to jump into that pool of pooh." You cannot reduce teaching to mindless meat widget drudgery and expect students to say, "yes! Someday I want to be a soul-sucked functionary, too." Of course, there are folks out there for whom the death of the teaching profession is a goal, not a problem. But for the rest of us, the path is relatively simple and clear. Elevate and support the teaching profession, and the people who look at it in action every day will want to join in. 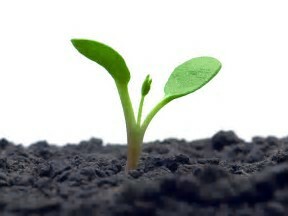 If you want good seeds, you have to tend to the plants that are already growing. "No other profession gets to pitch itself to every single young person who could possibly pursue it." 2) I can see myself doing that teaching thing." You don’t get off being modest, Mr. Greene. I see you slide past the biggest reason any student ever decided to become a teacher; I see it and I’m callin’ ya on it! When I was in elementary school, I had an art teacher, Miss L. She would stand in front of the class maybe the week before Easter and talk about spring; about leaves budding on the trees and the crocuses coming up and how the rain was necessary for the flowers. While she did this, a splendid tall white lily complete with long slender graceful leaves was being formed in her hands. Then she passed out papers and went step by step until we all had a lily in our hands, splendid or not. Same deal with Mr. and Mrs. Pilgrim right before Thanksgiving, and Jolly Old St. Nick. In my Art classes, there is more emphasis on such things as color theory, and form, space, and patterns, which are in our standards, than marking the holidays, but y'know, here I am in front of the class, doin' Art. So I don’t think it's, “I could see myself doing teaching.” as much as, “I want to be an awesome teacher just like Mr. Greene.” Yes, huh. Can I add a third thought? As a teenager, I spent a lot of time thinking, "This could be so much better if..."
Yes! Nobody's perfect so there can always be improvement, and the more, as you're growing up, you think of how to do things better, the better you'll be at doing it if you decide to, for me especially teaching and parenting. That is THE reason I went into teaching. I thought I could do better than the teachers who simply pass out worksheets and tests and don't take questions. Then NCLB came along and tried to stifle me. Then CCSS came along and tried to do it again. I want to make my classes fun AND educational. My goal every year is to work on making my classes more fun. Recent reform efforts that demoralized many in the profession have contributed greatly to the looming shortage. Many teachers I know tell their students and their own children to stay far away, discouraging many prospective teachers to seek just about any other career path.